Berlin (AFP) - Secret services typically work away from the limelight, but Germany's top domestic spy Hans-Georg Maassen has repeatedly crashed into the public eye, with his latest outing pitting him directly against Chancellor Angela Merkel. After anti-migrant protests rocked the eastern city of Chemnitz, Merkel firmly condemned a "hunt against foreigners" backed by videos circulating on social media. But Maassen, 55, in an interview with Germany's top-selling daily Bild last week, challenged the authenticity of at least one of the videos, sparking uproar. For critics, Maassen's claim played into the hands of the far-right and his attitude was viewed as symptomatic of a domestic intelligence service widely believed to be riddled with far-right sympathisers. As pressure mounted on him to prove the video was a fake, Maassen denied questioning its authenticity and said his quarrel was with how the original post on Twitter had oversold it as a "hunt against people" which he thought was intended to inflame tensions. Maassen was grilled behind closed doors by two parliamentary committees late Wednesday. The leader of the Social Democratic Party Andrea Nahles has suggested he should step down, but late Wednesday Merkel's CDU and the Liberals called for the page to be turned on the issue and voiced confidence in Maassen. Hardline interior minister Horst Seehofer, Merkel's most vocal critic within the cabinet, reasserted his confidence in the spy chief at Wednesday's parliamentary hearings and said he saw "no reason" for him to step aside, according to participants. The episode has also reopened uncomfortable questions over a service that has long struggled to escape a lingering whiff of far-right associations. Maassen in August 2012 took over at the Federal Office for the Protection of the Constitution (BfV) after his predecessor was forced to quit as it emerged the service had shredded files on suspects of the deadly neo-Nazi cell NSU. A majority of Germans, 58 percent, have little or no confidence in the office, according to a Civey opinion poll published Wednesday. 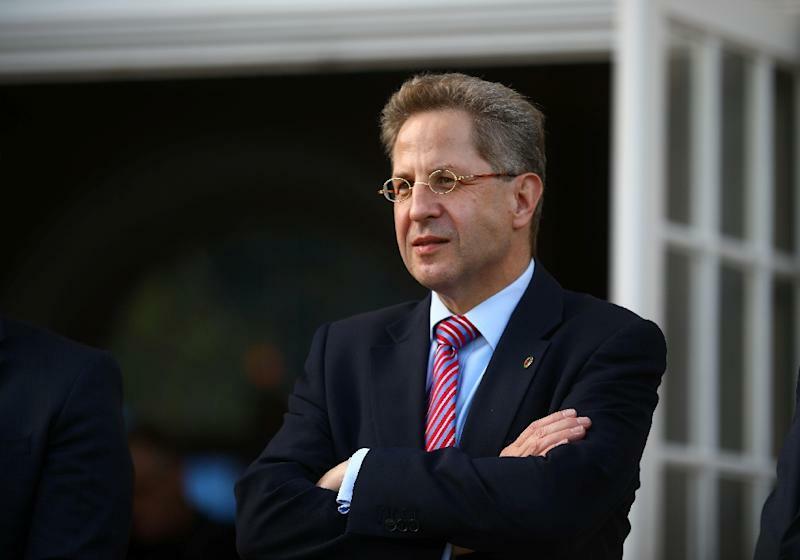 As BfV chief, Maassen leads an agency charged with collecting and evaluating information on efforts to harm the democratic order or which jeopardise Germany's interests. But among his key tasks following the NSU scandal was also to restore public confidence in an institution accused of being too lax with the far-right threat and too heavy-handed on extreme left activism. Married to a linguist from Japan, Maassen was born in Moenchengladbach close to the Dutch border. He headed the interior ministry's counter-terrorism team before being appointed domestic spy chief. Recognising that wars are increasingly waged in cyberspace, the former lawyer quickly boosted the BfV's digital armoury. He has also repeatedly warned against Russian cyber-espionage, including raising eyebrows when he told a parliamentary inquiry that he thought NSA whistleblower Edward Snowden was actually a Russian agent. But he came under intense pressure following the attack at a Berlin Christmas market in 2016 when Tunisian failed asylum applicant Anis Amri drove a truck into crowds. According to media reports, Maassen wrongly claimed his service had no agent in Amri's circles, even though it had a source at a mosque the Tunisian frequented. But it is his handling of the far-right AfD party that has proved most controversial, particularly as he was known to share the far-right party's opposition to Merkel's decision in 2015 to keep Germany's borders open to asylum seekers. Despite repeated calls for the BfV to formally place the AfD under surveillance, Maassen has refused to do so. A former AfD member has also accused him of having met repeatedly with the party's leaders to advise on how to avoid being placed under surveillance -- an allegation Maassen and the far-right group have denied. AfD leader Alexander Gauland told journalists this week he had three conversations with Maassen about "overall security evaluations". Maassen did not give him advice, he added. Heribert Prantl of the Sueddeutsche Zeitung noted that "among the worst things that can happen to a top domestic intelligence officer is for him to be accused of sympathy for a far-right party". 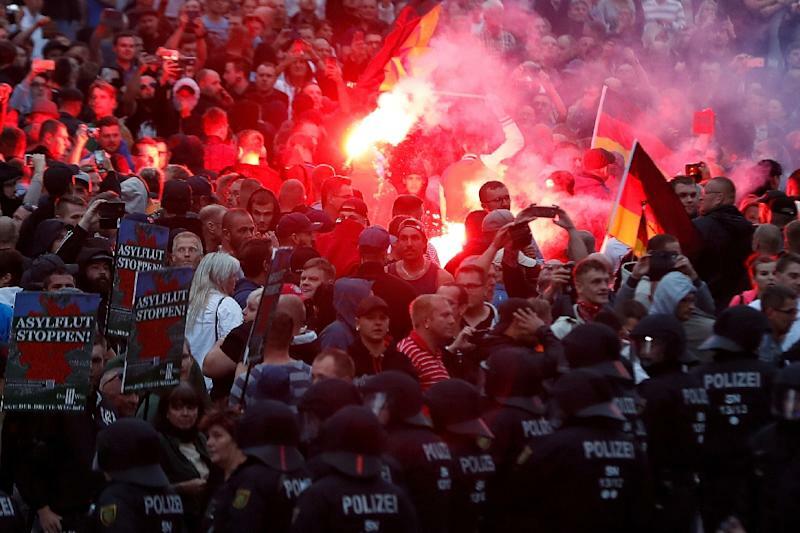 "There is more doubt about whether he has put enough distance between himself and the AfD than whether there has been xenophobic incitement in Chemnitz," Prantl said. "Given the rather strange news about Hans-Georg Maassen, one wonders whether the BfV should not take a closer look at its president." Do You Like Verallia Deutschland AG (FRA:OLG) At This P/E Ratio?